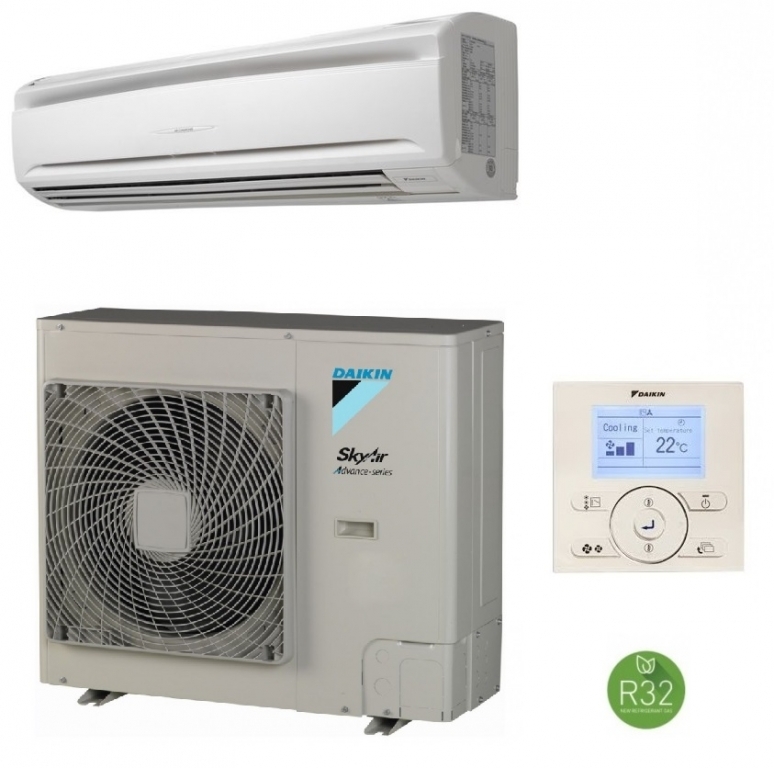 The Daikin Advance range wall mounted air conditioners and heat pump 10Kw model FAA100A, this is the 3 phase electrical supply model. The Advance range are ideal for commercial applications, this model can have up to 50 meters length of air conditioning pipework length. 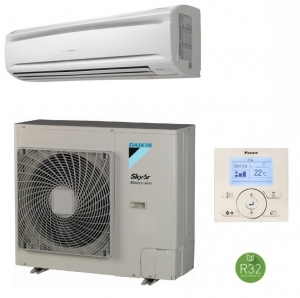 The system includes the indoor unit with hardwired controller and the outdoor unit as listed below.